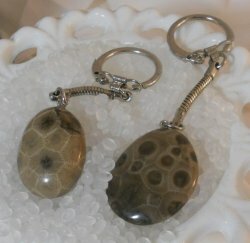 This is for one key chain made from Petoskey stone. We show 2 here as examples. The keychain you order will be a very good quality, but may not be the exact one shown here. If you purchase more than one, we will combine postage costs for you.